since 2007: senior researcher, project manager and vice-head at the Intelligent Music Processing Group at the OFAI. May 2005 - September 2007: Assistant Professor (Universitätsassistent) at the Institute of Medical Cybernetics and Artificial Intelligence, Center for Brain Research, Medical University Vienna . February 2007: visiting researcher at the Theoretical and Experimental Neurobiology Unit of the Okinawa Institute of Science and Technology, Japan. Work on "Informational Compartmentalization of Neurons" in collaboration with Klaus Stiefel. September 2004 - April 2005: member of the Intelligent Music Processing Group at the OFAI. Work on Music Information Retrieval within the SIMAC-project. March 2003 - May 2004: Postdoctoral fellow at the Swartz Center for Computational Neuroscience (UCSD, USA). Work on "Independent Component Analysis of brain electric potentials recorded during temporally extended cognition" in collaboration with Scott Makeig. This visit was supported by a Schroedinger scholarship of the Austrian Scientific Research Fund (FWF). "Categorization of EEG coherence maps with Kohonen networks" in cooperation with the Inst. of Neurophysiology, University of Vienna. "Categorization of slow cortical potential shifts" in cooperation with the Inst. of Psychology, University of Vienna. 1994-1995 research on neural networks and statistics, as well as sleep staging with neural networks in the BIOMED project ANNDEE - Enhancement of EEG-Based Diagnosis of Neurological and Psychiatric Disorders using Artificial Neural Networks. 1997-1999: BIOMED project SIESTA aiming at finding a new description of human sleep, and RADAR project dealing with the development and implementation of neural network based prediction methods for short-term rain forecasts. 2000-2002: working on a project supported by the Austrian Scientific Research Fund (FWF) titled: ``Improving analysis of brain electric potentials to enable monitoring of temporally extended cognition''. This was a joint project together with the Inst. of Psychology, University of Vienna (Prof. Bauer). 1999: Doctor of Psychology, thesis on "Spatio-temporal Clustering of Cognitive Evoked Potentials" under the supervision of Prof. Bauer, Inst. of Psychology, University of Vienna. My thesis work was supported by a doctoral grant of the Austrian Academy of Sciences. 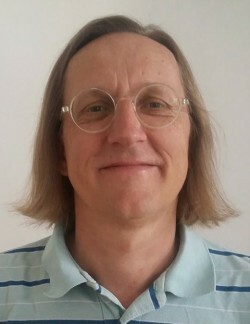 1995: Magister (MSc) of Psychology with an emphasis on Artificial Intelligence at the University of Vienna, thesis on "Classification of EEG coherence maps using self-organizing feature maps". 1993: successfully finished a three-years study program in computer science at the University of Technology, Vienna. You may now call me "academically certified data engineer". Member of the Austrian Society for Artificial Intelligence (ÖGAI). Member of the editorial board of the Transactions of the International Society for Music Information Retrieval (TISMIR). Scientific Program Chair of the "20th International Society for Music Information Retrieval Conference", Delft, The Netherlands (ISMIR 2019). Member of the Programme Committee of the "19th International Society for Music Information Retrieval Conference", Paris, France (ISMIR 2018), also ISMIR 2017, ISMIR 2016, ISMIR 2015, ISMIR 2014, ISMIR 2013 and ISMIR 2012. Member of the programme committee of the ''International Joint Conference on Artificial Intelligence/ European Conference on Artificial Intelligence'', Stockholm, Sweden (IJCAI/ECAI 2018). Member of the Programme Committee of the "15th Sound and Music Computing Conference", Limassol, Cyprus (SMC 2018), SMC 2017, also SMC 2016, SMC 2012, SMC 2011 and SMC 2009. Co-Organizer (together with Monika Dörfler) of a workshop on "Systematic approaches to deep learning methods for audio", 11.-15. September 2017, Erwin Schrödinger Institute, University of Vienna, Austria. Member of the Programme Committee of the "2nd International Workshop on Social Media Retrieval and Analysis", Atlantic City, New Jersey, USA (SoMeRa 2015), also SoMeRa 2014. Member of the Programme Committee of the "Fifth Biennial International Conference on Mathematics and Computation in Music", London, UK (MCM 2015). Member of the Programme Committee of "International Computer Music Conference", Ljubljana, Slovenia (ICMC 2012). Member of the Programme Committee of "4th International Workshop on Advances in Music Information Research: The Web of Music", Lyon, France (AdMIRe 2012). Member of the Programme Committee of "The 9th International Workshop on Content-Based Multimedia Indexing", Madrid, Spain (CBMI 2011), also CBMI 2010. Member of the Programme Committee of "The 9th International Work-Conference on Artificial Neural Networks", San Sebastian, Spain (IWANN 2007). Member of the Programme Committee of "The 17th European Conference on Machine Learning and the 10th European Conference on Principles and Practice of Knowledge Discovery in Databases", Berlin, Germany (ECML PKDD 2006). Member of the Programme Committee of "The First International Conference on Complex Medical Engineering", Takamatsu, Japan (CME 2005). Member of the Programme Committee of "The Fifth European Conference on Principles and Practice of Knowledge Discovery in Databases", Freiburg, Germany (PKDD 2001). Member of the Organizing Committee of "The International Conference on Artificial Neural Networks", Vienna, Austria (ICANN 2001). Co-Organizer of the ICANN 2001 workshop on "Advances in EEG Analysis". Member of the Programme Committee of "The Fourth European Conference on Principles and Practice of Knowledge Discovery in Databases", Lyon, France (PKDD 2000). Schedl M., Flexer A., Urbano J.: The Neglected User in Music Information Retrieval Research, Journal of Intelligent Information Systems, December 2013, Volume 41, Issue 3, pp 523-539, 2013. Schnitzer D., Flexer A., Schedl M., Widmer G.: Local and Global Scaling Reduce Hubs in Space, Journal of Machine Learning Research, 13(Oct):2871-2902, 2012. also available as: TR-2012-15. Klien V., Grill T., Flexer A.: On automated annotation of acousmatic music, Journal of New Music Research, Volume 41, Issue 2, pages 153-173, 2012. also available as: TR-2011-06. Schnitzer D., Flexer A., Widmer G.: A Fast Audio Similarity Retrieval Method for Millions of Music Tracks, Multimedia Tools and Applications, Volume 58, Number 1, 23-40, 2012 (published online on 21st of December 2010). also available as: TR-2010-13. Flexer A., Schnitzer D.: Effects of Album and Artist Filters in Audio Similarity Computed for Very Large Music Databases, Computer Music Journal, Volume 34, Number 3, pp. 20-28, 2010. also available as: TR-2010-01. Flexer A., Makeig S.: Independent Component Analysis of EEG recorded during two-person game playing, Applied Artificial Intelligence, Volume 21, Issue 9, pp. 883-894, 2007. also available as: TR-2007-04. Gouyon F., Widmer G., Serra X., Flexer A.: Acoustic Cues to Beat Induction: A Machine Learning Perspective, Music Perception, Volume 24, Issue 2, pp. 177-188, 2006. also available as TR-2006-14. Flexer A.: Statistical Evaluation of Music Information Retrieval Experiments, Journal of New Music Research, Vol. 35, No. 2, pp. 113-120, 2006. also available as TR-2005-18. Flexer A., Gruber G., Dorffner G.: A reliable probabilistic sleep stager based on a single EEG signal, Artificial Intelligence in Medicine, 33(3)199-207, 2005. also available as: TR-2004-18. Flexer A., Dorffner G., Sykacek P., Rezek I.: An automatic, continuous and probabilistic sleep stager based on a hidden markov model, Applied Artificial Intelligence, Vol. 16, Num. 3, pp.199-207, 2002. also available as: TR-2001-35. Feldbauer R., Leodolter M., Plant C., Flexer A.: Fast approximate hubness reduction for large high-dimensional data, Proceedings of the IEEE International Conference on Big Knowledge (ICBK), pp. 358-367, 2018. also available as: TR-2018-02. Flexer A., Dörfler M., Schlüter J., Grill T.: Hubness as a case of technical algorithmic bias in music recommendation, in Proceedings of 6th International Workshop on High Dimensional Data Mining (HDM), in conjunction with the IEEE International Conference on Data Mining (IEEE ICDM 2018), Singapore, 2018. also available as: TR-2018-04. Flexer A.: Hubness-aware outlier detection for music genre recognition, in Proceedings of the 19th International Conference on Digital Audio Effects (DAFx-16), pp. 69-75, 2016. also available as: TR-2016-09. Flexer A.: An Empirical Analysis of Hubness in Unsupervised Distance-Based Outlier Detection, in Proceedings of 4th International Workshop on High Dimensional Data Mining (HDM), in conjunction with the IEEE International Conference on Data Mining (IEEE ICDM 2016), Barcelona, Spain, 2016. also available as: TR-2016-10. Flexer A., Stevens J.: Mutual proximity graphs for music recommendation, Proceedings of the 9th International Workshop on Machine Learning and Music, Riva del Garda, Italy, 2016. also available as: TR-2016-06. Flexer A.: Improving visualization of high-dimensional music similarity spaces, 16th International Society for Music Information Retrieval Conference, Malaga, Spain, 2015. also available as: TR-2015-03. Flexer A.: The impact of hubness on music recommendation, Machine Learning for Music Discovery Workshop at the 32nd International Conference on Machine Learning, Lille, France, 2015. also available as: TR-2015-02. Gkiokas A., Lattner S., Katsouros V., Flexer A., Carayanni G.: Towards an Invertible Rhythm Representation, Proceedings of the 18th International Conference on Digital Audio Effects (DAFx-15), Trondheim, Norway, 2015. Flexer A.: On inter-rater agreement in audio music similarity, Proceedings of the 15th International Society for Music Information Retrieval Conference (ISMIR'14), Taipei, Taiwan, 2014. also available as: TR-2014-06. Knees P., Schnitzer D., Flexer A.: Improving Neighborhood-Based Collaborative Filtering by Reducing Hubness, Proceedings of ACM International Conference on Multimedia Retrieval (ICMR), 2014. also available as: TR-2014-02. Schnitzer D., Flexer A.: Choosing the Metric in High-Dimensional Spaces Based on Hub Analysis, Proceedings of the 22nd European Symposium on Artificial Neural Networks, Computational Intelligence and Machine Learning (ESANN), 2014. also available as: TR-2014-03. Schnitzer D., Flexer A., Tomasev N.: A Case for Hubness Removal in High-Dimensional Multimedia Retrieval, Proceedings of the 36th European Conference on Information Retrieval (ECIR), 2014. also available as: TR-2014-01. Vincent E., Gkiokas A., Schnitzer D., Flexer A.: An investigation of likelihood normalization for robust ASR, Proceedings of the 15th Annual Conference of the International Speech Communication Association (INTERSPEECH), 2014. Flexer A., Schnitzer D.: Can Shared Nearest Neighbors Reduce Hubness in High-Dimensional Spaces?, in Proceedings of 1st International Workshop on High Dimensional Data Mining (HDM), in conjunction with the IEEE International Conference on Data Mining (IEEE ICDM 2013), Dallas, Texas, USA, 2013. also available as: TR-2013-04. Flexer A., Schnitzer D.: Using mutual proximity for novelty detection in audio music similarity, in Proceedings of the 6th International Workshop on Machine Learning and Music, Prague, Czech Republic, 2013. also available as: TR-2013-01. Schnitzer D., Flexer A., Schlüter J.: The Relation of Hubs to the Doddington Zoo in Speaker Verification, in Proceedings of the 21st European Signal Processing Conference (EUSIPCO'2013), September 9-13, Marrakech, Morocco, 2013. also available as: TR-2012-17. Flexer A., Schnitzer D., Schlüter J.: A MIREX meta-analysis of hubness in audio music similarity, Proceedings of the 13th International Society for Music Information Retrieval Conference (ISMIR'12), Porto, Portugal, October 8th-12th, 2012. also available as: TR-2012-06. This paper received the Best Paper Award! Grill T., Flexer A.: Visualization of perceptual qualities in textural sounds, Proceedings of the International Computer Music Conference (ICMC 2012), Ljubljana, Slovenia, 2012. also available as: TR-2012-04. Schedl M., Flexer A.: Putting the User in the Center of Music Information Retrieval, Proceedings of the 13th International Society for Music Information Retrieval Conference (ISMIR'12), Porto, Portugal, October 8th-12th, 2012. also available as: TR-2012-10. Gasser M., Flexer A., Grill T.: On Computing Morphological Similarity of Audio Signals, in Proceedings of the 8th Sound and Music Computing Conference (SMC'11), Padova, Italy, 2011. also available as: TR-2010-14. Klien V., Grill T., Flexer A.: Because we are all falling down. Physics, gestures and relative realities, Proceedings of the International Computer Music Conference (ICMC'10), New York City, NY, USA, 2010. also available as: TR-2010-04. Klien V., Grill T., Flexer A.: Towards automated annotation of acousmatic music, Proceedings of the Electronic Music Studies Network Conference 2010 (EMS'10), Shanghai, China, 2010. also available as: TR-2010-09. Schnitzer D., Flexer A., Widmer G., Gasser M.: Islands of Gaussians: The Self Organizing Map and Gaussian Music Similarity Features , Proceedings of the Eleventh International Society for Music Information Retrieval Conference (ISMIR'10), 2010. also available as: TR-2010-10. Flexer A., Schnitzer D.: Album and Artist Effects for Audio Similarity at the Scale of the Web, in Proceedings of the 6th Sound and Music Computing Conference (SMC'09), Porto, Portugal, 2009. also available as: TR-2009-01. Gasser M., Flexer A.: FM4 Soundpark: Audio-based Music Recommendation in Everyday Use, in Proceedings of the 6th Sound and Music Computing Conference (SMC'09), Porto, Portugal, 2009. also available as: TR-2009-02. Schnitzer D., Flexer A., Widmer G.: A Filter-and-Refine Indexing Method for Fast Similarity Search in Millions of Music Tracks, in Proceedings of the 10th International Society for Music Information Retrieval Conference (ISMIR'09), Kobe, Japan, 2009. also available as: TR-2009-03. Seyerlehner K., Flexer A., Widmer G.: On the Limitations of Browsing Top-N Recommender Systems, in Proceedings of the 3rd ACM Conference on Recommender Systems, New York, USA, October 22-25, 2009. Flexer A., Schnitzer D., Gasser M., Widmer G.: Playlist Generation using Start and End Songs, in Proceedings of the 9th International Conference on Music Information Retrieval (ISMIR'08), Philiadelphia, USA, 2008. also available as: TR-2008-03. Gasser M., Flexer A., Widmer G.: Streamcatcher: Integrated visualization of music clips and online audio streams, in Proceedings of the 9th International Conference on Music Information Retrieval (ISMIR'08), Philiadelphia, USA, 2008. also available as: TR-2008-04. Flexer A.: A closer look on artist filters for musical genre classification, in Proceedings of the 8th International Conference on Music Information Retrieval (ISMIR'07), Vienna, Austria, 2007. also available as: TR-2007-01. Moreau A., Flexer A.: Drum transcription in polyphonic music using non-negative matrix factorisation, in Proceedings of the 8th International Conference on Music Information Retrieval (ISMIR'07), Vienna, Austria, 2007. Flexer A., Gouyon F., Dixon S., Widmer G.: Probabilistic Combination of Features for Music Classification, in Proceedings of the 7th International Conference on Music Information Retrieval (ISMIR'06), Victoria, Canada, 8-12 October, 2006. also available as: TR-2006-09. Flexer A., Pampalk E., Widmer G.: Novelty detection based on spectral similarity of songs, Proceedings of the 6th International Conference on Music Information Retrieval (ISMIR'05), London, UK, September 11-15, 2005. also available as: TR-2005-09. Flexer A., Pampalk E., Widmer G.: Hidden Markov Models for spectral similarity of songs, Proceedings of the 8th International Conference on Digital Audio Effects (DAFX'05), Madrid, Spain, September 20-22, 2005. also available as: TR-2005-08. Pampalk E., Flexer A., and Widmer G.: Improvements of Audio-Based Music Similarity and Genre Classification, Proceedings of the 6th International Conference on Music Information Retrieval (ISMIR'05), London, UK, September 11-15, 2005. Pampalk E., Flexer A., and Widmer G.: Hierarchical Organization and Description of Music Collections at the Artist Level, Proceedings of the 9th European Conference on Research and Advanced Technology for Digital Libraries (ECDL 2005), Vienna, Austria, 2005. Sykacek P., Roberts S., Rezek I., Flexer A., Dorffner G.: A Probabilistic Approach to High-Resolution Sleep Analysis, in Dorffner G., et al.(eds. ), Artificial Neural Networks - ICANN 2001, International Conference, Vienna, Austria, Lecture Notes In Computer Science 2130, Springer, pp. 617-624, 2001. Koivuluoma M., Vaerri A., Flexer A.: Modelling sleep with gaussian mixture model based on eye movements and delta-activity, in Gabbouj M. & Kuosmanen P. (eds). Signal Processing X Theories and Applications, Proceedings of EUSIPCO 2000, tenth European Signal Processing Conference, Tampere, Finland, pp. 35-38, 2000. Magdolen J., Rappelsberger P., Dorffner G., Flexer A., Winterer G.: Artificial neural networks for discriminating relapsing from abstaining alcoholics, Proc. of 4th Int. Symposium on CNS Monitoring, 1998. Rappelsberger P., Magdolen J., Winterer G., Dorffner G., Flexer A.: Classification of EEG of schizophrenics and depressives with artificial neural networks, Proc. of 4th Int. Symposium on CNS Monitoring, 1998. Magdolen J., Rappelsberger P., Dorffner G., Flexer A., Winterer G.: Application of Non-Linear Classifiers to EEG at Rest for Identifying Psychiatric Disorders, in Trappl R.(ed. ), Cybernetics and Systems '96, Oesterreichische Studiengesellschaft fuer Kybernetik, Wien, 2 vols., pp.592-596, 1996. Flexer A., Rappelsberger P., Dorffner G.: Processing of EEG coherence maps with topologically correct feature maps, in Eiselt M., et al.(eds. ), Quantitative and Topological EEG and MEG Analysis, Universitaetsverlag Jena, 1995. Dorffner G., Rappelsberger P., Flexer A.: Using Selforganizing Feature Maps to Classify EEG Coherence Maps, in Kappen B. and Gielen S.(eds. ), ICANN 93, Springer, Berlin/Heidelberg/New York/Tokyo, pp.882-887, 1993. Rappelsberger P., Dorffner G., Flexer A.: Classification of EEG Coherence Maps of Cognitive Processes, in Loeffler W.H., et al.(eds. ), ZNS-Monitoring, Verlag Wilhelm Maudrich, Wien-Muenchen-Bern, pp.375-388, 1993. Flexer A.: Spatio-temporal Clustering of Cognitive Evoked Potentials, PhD Thesis, Institute of Psychology, University of Vienna, 1999. Flexer A.: Die Kategorisierung von EEG-Kohaerenzmaps mit Kohonennetzwerken, Master's Thesis, Institute of Psychology, University of Vienna, 1994. In German. Xavier Serra, Michela Magas, Emmanouil Benetos, Magdalena Chudy, Simon Dixon, Arthur Flexer, Emilia Gomez, Fabien Gouyon, Perfecto Herrera, Sergi Jorda, Oscar Paytuvi, Geoffroy Peeters, Jan Schlüter, Hugues Vinet, Gerhard Widmer, Roadmap for Music Information ReSearch, Geoffroy Peeters (editor), 2013, Creative Commons BY-NC-ND 3.0 license, ISBN: 978-2-9540351-1-6. Flexer A., Makeig S.: Correlation of Subjective Expectation and P300 Amplitude during a Game of Matching Pennies, Technical Report, Oesterreichisches Forschungsinstitut fuer Artificial Intelligence, Wien, TR-2004-19, 2004. Gruber G., Flexer A., Dorffner G.: Unsupervised continuous sleep analysis based on a single EEG channel (abstract), Journal of Sleep Research, 16th Congress of the European Sleep Research Society, Vol. 11, Supplement 1, p.89, 2002. Flexer A.: Spatio-temporal Clustering of Cognitive Evoked Potentials, OeGAI Journal, 18(3)25-30, 1999. Flexer A., Sykacek P., Rezek I., Dorffner G.: Using Hidden Markov Models to build an automatic, continuous and probabilistic sleep stager for the SIESTA project, Medical and Biological Engineering and Computing, Supplement 2, Proceedings of EMBEC'99, p.1658-1659, 1999. Sykacek P., Roberts S.J., Rezek I., Flexer A., Dorffner G.: Classification in the sampling paradigm: A predictive approach towards a SIESTA sleep analyzer, Medical and Biological Engineering and Computing, Supplement 2, Proceedings of EMBEC'99, 1999. Sykacek P., Roberts S.J., Rezek I.A., Flexer A., Dorffner G.: Bayesian wrappers versus conventional filters: Feature subset selection in the SIESTA project, Medical and Biological Engineering and Computing, Supplement 2, Proceedings of EMBEC '99, 1999. Sykacek P., Roberts S.J., Rezek I.A., Flexer A., Dorffner G.: Reliability in preprocessing - Bayes rules SIESTA, Medical and Biological Engineering and Computing, Supplement 2, Proceedings of EMBEC '99, November 4-7, Vienna, Austria, 1999. Magdolen J., Rappelsberger P., Dorffner G., Flexer A., Winterer G.: Artificial neural networks and data dimensionality reduction mappings for identification of psychiatric disorders in EEG, Medical and Biological Engineering and Computing, Vol. 34, Suppl. 1, Part 2: Proceedings of the 1st Int. Conf. on Bioelectromagnetism, pp.237-238, 1996. Bauer H., Flexer A., Guttmann G., Leodolter M., Leodolter U., Vitouch O.: Categorization of Topographical Patterns of Spontaneous Cortical Slow Potential Shifts (sSPSs) (abstract), Brain Topography, 1994. Flexer A.: Die Kategorisierung von EEG-Kohaerenzmaps mit Kohonennetzwerken, OeGAI Journal, 13(2)9-12, 1994. Flexer A., Rappelsberger P., Dorffner G.: Discrimination of EEG Spectral Parameters Derived During Spatial Imagination Tests with Kohonen Networks (abstract), European Journal of Neuroscience, 1994. Rappelsberger P., Dorffner G., Flexer A.: Classification of EEG Coherence Maps of Cognitive Processes (Abstract), Journal of Clinical Monitoring, 2(9)139-140, 1993. Rappelsberger P., Dorffner G., Flexer A.: Kuenstliche Neuronale Netzwerke zur Klassifikation von EEG-Kohaerenz Maps: Beispiele aus psychophysiologischen Studien, Biomed. Technik, Band 38, Ergaenzungsband, 1993. In German.